Hardcover - 704 pages. Publisher - Faber. 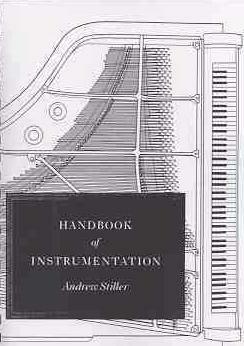 ISBN: 0571514561. EAN 13: 9780571514564 .
in this way they will be free to give of their best in performance. Behind Bars aims to provide the tools for this purpose." 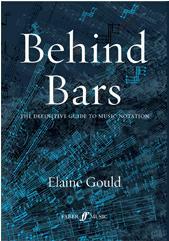 Elaine Gould has been Senior Music Editor at Faber Music since 1987, in which capacity she has edited the complex and varied scores of such composers as Julian Anderson, Oliver Knussen, Jonathan Harvey, George Benjamin, Colin Matthews and Thomas Adès. Before this she was a free-lance copyist, specialising in copying contemporary music for several leading British music publishers. Elaine is among the most highly respected music editors currently working in the field. Our price: $119.00 + $10 shipping for first item, others $6 each. Our price: $180.00 + $10 shipping for first item, others $6 each.